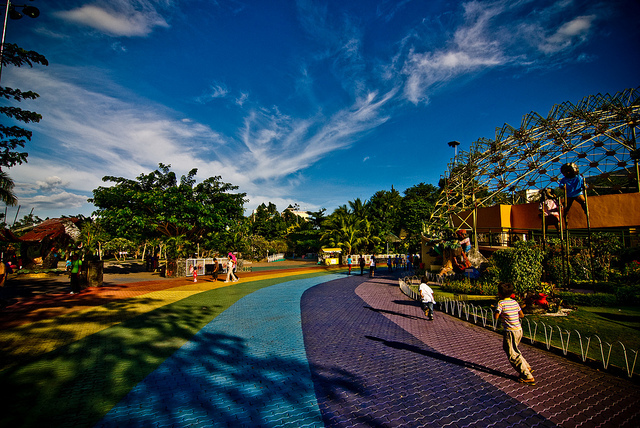 Davao is one of the cities in Mindanao located in the southern part of the Philippines. Hailed with so many nicknames, such as the Durian Capital, Eco-Adventure Capital, and Fruit Basket of the country, Davao never failed to live up to expectations. During the 16th century, the Spaniards explored the Gulf area of Davao but only began colonizing the region in 1848 due to some resistance. Despite claims that the entire Gulf was conquered peacefully, the population was divided between those who were supportive of the Spanish rule and those who labored with the Moros in 1892. The city of Davao was also occupied by the Japanese and made it a stronghold of their defense after bombing the harbor in 1941. It was only in 1944 after the American forces came and liberated the region that caused the destruction of many structures and eradicated the economic advancement established by Japan during that time. After the war in 1945, the city underwent many improvements and reorganizations, making Davao a very urbanized city after it became the regional capital in the southern part of Mindanao. It also experienced civil unrest as the city became a favorite location for conflict by communist guerillas, criminals, and leftists. Based from historical facts, social stability was then restored when Mayor Rodrigo R. Duterte assumed office in 1988. Although Davao is 946 km away from the capital city of Manila, it never stopped tourists from visiting its major attractions in this part of the country. In fact, it is easier to travel from Manila to Davao through inter-island ferry systems or by air as it has direct flights to any major city in the Philippines. Upon reaching the city through the airport or wharf, tourists will be greeted with different modes of transportation for the public, including buses, jeepneys, multicabs, and taxis. It is also possible to travel to other major cities in Mindanao via these transport hubs. Highlighting a climate of a tropical rainforest, it does not have a real dry season. Most of the precipitation happens during summer months, while significant rainfall occurs during winter months. These factors make it favorable for many local and foreign tourists to bask into the comfortable weather that the region can offer. Here are some of the highlights of the city for potential tourists to enjoy. The city has even increased the influx of its tourism industry after the national and local elections in May 2016. This is due to the fact that its very own Mayor Duterte has won his bid for Presidency in the country. Partly as a show of support or just mere curiosity for some, many foreign and local visitors went there to check out the newly-elected President’s home city of Davao.